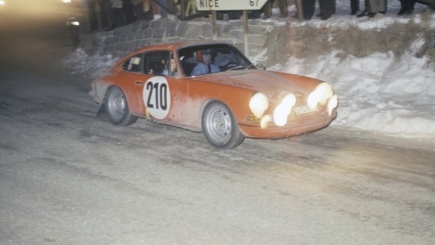 The Porsche 911 took three consecutive wins in the Monte Carlo Rally, with Vic Elford and David Stone delivering the first of these victories in 1968. 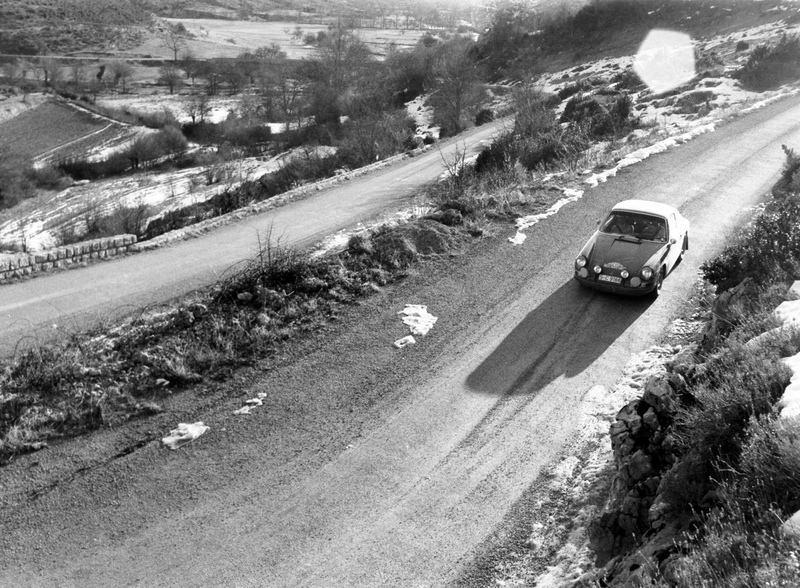 In an ideal development for Porsche, the 1968 Monte Carlo Rally was the first to be subject to new rules that removed restrictions relating to cubic capacity classes and the use of professional and amateur drivers. The system applied as of that year boiled down to a single maxim: fastest car wins! Another factor that was markedly different to previous years was the weather. 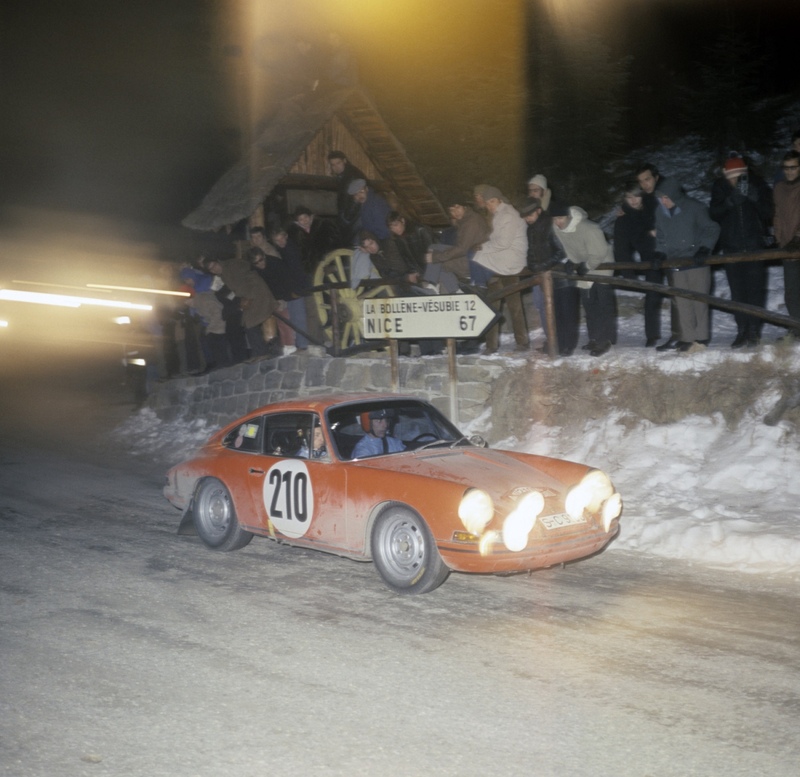 The 37th Monte Carlo Rally was held in almost spring-like temperatures, with these mild conditions extending up into the mountains. 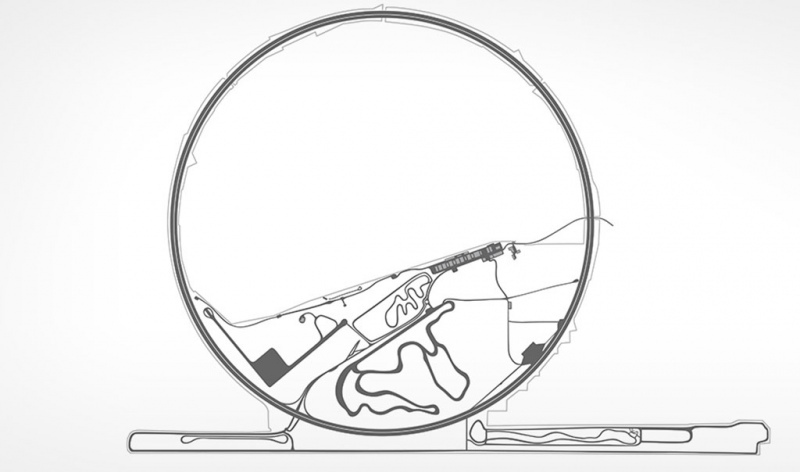 The teams demanded racing tyres, but the available stocks proved insufficient. This led to additional tyres featuring a soft mixture, little tread and no spikes being flown in by the tyre manufacturers via Nice and transported to the special tests. 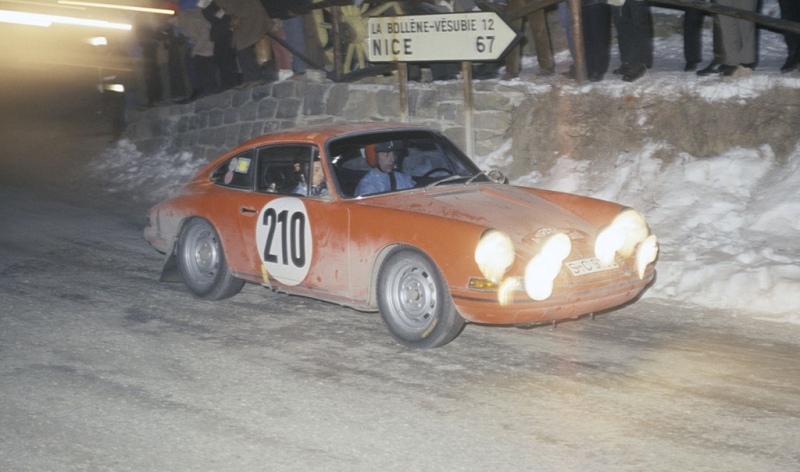 While the French driver Gérard Larrousse dominated the early stages of this edition of the Monte Carlo Rally in his Renault Alpine 1300, Vic Elford and David Stone bided their time in the 911 S 2.0 and waited for an opening. The ‘night of the long knives’, which was open to the sixty fastest teams, initially saw Larrousse further extend his lead before Elford hit back. Completing the special test at the Col de la Couillole nearly a minute faster than the Alpine, he duly raced into the lead. The final tests then saw the top drivers take even greater risks. 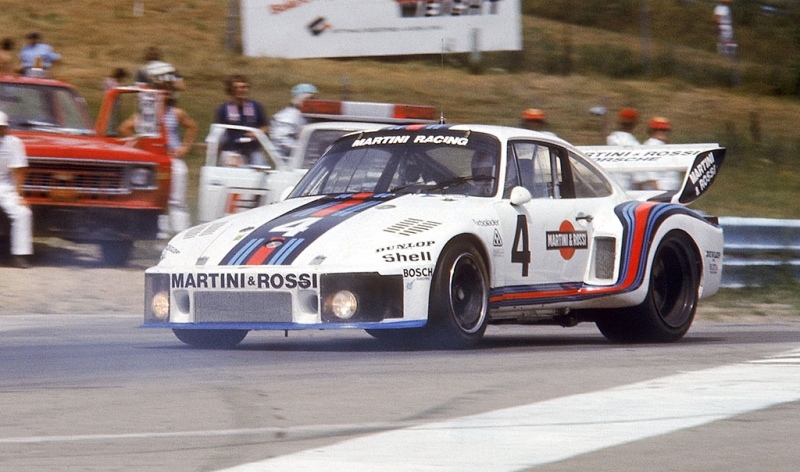 However, when the crowd beneath the Col de Turini shovelled the snow away from the dips bordering the course in order to enable more spectacular drifting, this ruined Larrousse’s chances as he collided with a wall and was forced to retire. 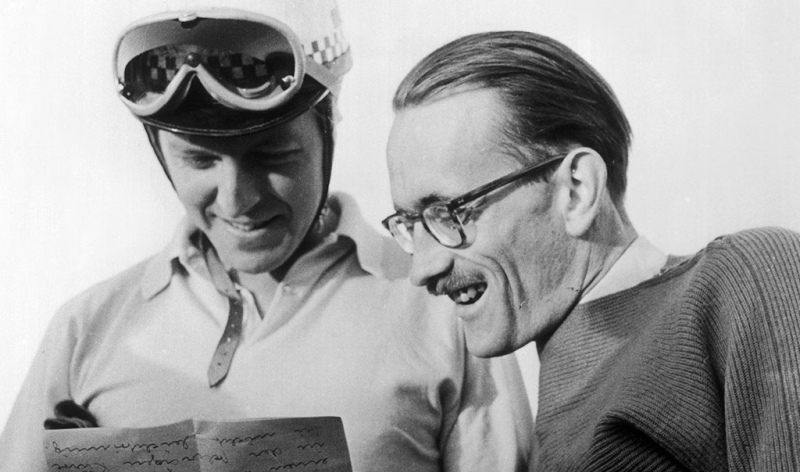 Elford and Stone recorded Porsche’s first victory at the Monte Carlo Rally ahead of their teammates Pauli Toivonen and Martti Tiukkanen. With the Cooper S models finishing third, fourth and fifth respectively, the Mini’s era of dominance had been brought an end by the Porsche 911. 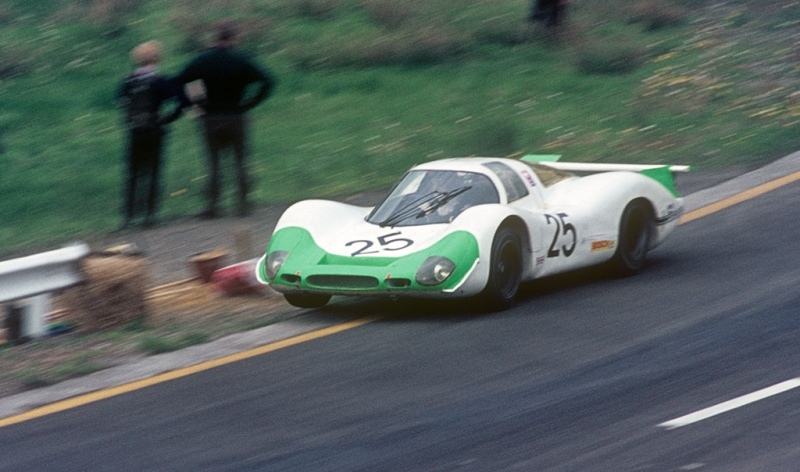 This initial victory for the fresh-faced new model from Zuffenhausen would turn out to be the first of a hat-trick of Monte Carlo wins, as Björn Waldegård and Lars Hélmer went on to triumph there in 1969 and 1970. 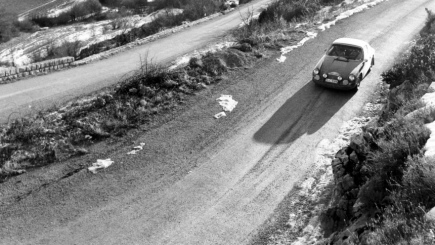 The 1968 European Rally Championship title ultimately went to the Finnish driver Toivonen, who finished streets ahead of the field in his reliable Porsche 911 S.